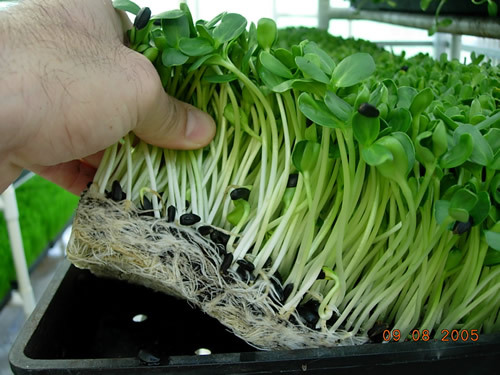 The sunflower sprouts can be juiced for green drinks or eaten whole. Grown from Organic Non-GMO Seeds. From Jane of Goshen, Connecticut on 3/13/2015 .